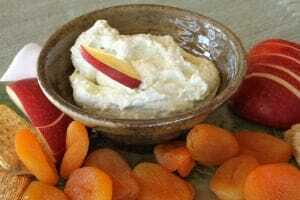 Blue Cheese Chive Dip goes with apples, crackers, pears and dried apricots. 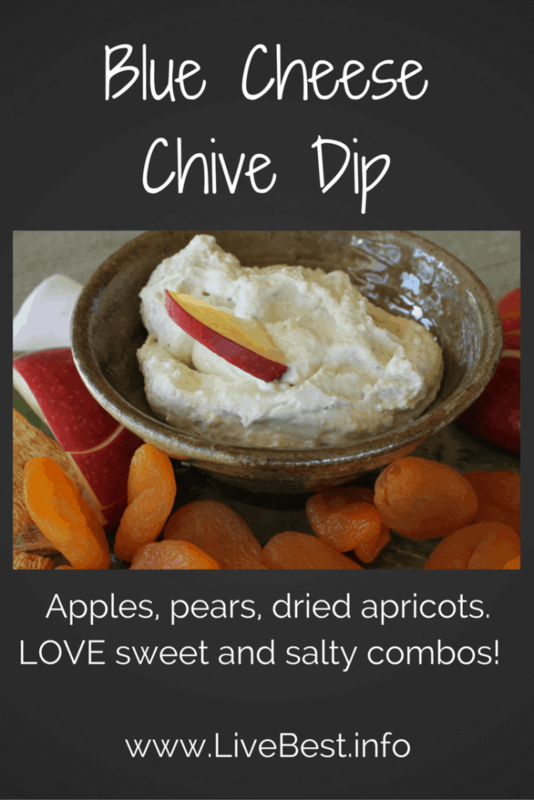 I love sweet and salty combos and this dip recipe is one of my favorites! The book was good so I spent the weekend reading. Guess I should have been cooking. I was supposed to bring a light appetizer to my book group. Oops! I didn’t have time to run to the store so started a pantry search. The snow had finally melted so I could see the chives were about 4-inches tall. So that’s where I started…hmmm…what goes with chives? I used what I had on hand: blue cheese, Parmesan, cottage cheese and plain yogurt. 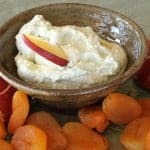 The cottage cheese and yogurt add thickness plus tangy flavors but much less fat than cream cheese, but best of all, they add protein and calcium. Many cheeses can be blended into dips and spreads like this Fromage Fort. This dip is much healthier than most creamy dips, but no one will notice. Most American women fall short on calcium so this was just what my fellow book clubbers need! More than that, they agreed it tasted great. Shhh…I didn’t even tell them it was good for them. For dippers I thought: What goes with blue cheese? FYI: The pear and dried apricots were the first to go off the plate. Though you could also top a burger or steak. Pin it for later! Book club not required ? A great spring recipe when chives are growing. 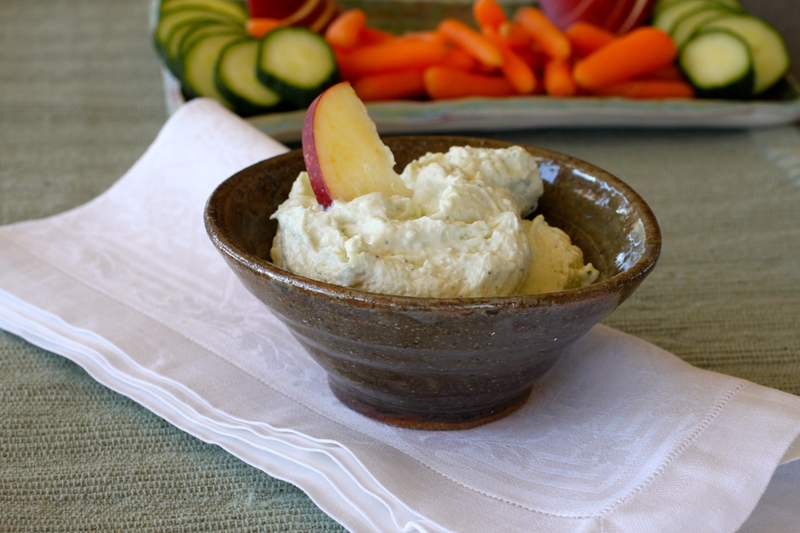 Blue cheese pairs well with apples and pears so serve with sliced fruit. Other dippers could be whole-grain crackers, cucumber slices and celery sticks. Combine all ingredients is food processor. Blend until smooth. This recipe sounds great! I make a blue cheese chiptole dip with similar base ingredients to yours. Seems like the spicy fills my cravings some how….. Your blue cheese chive dip would be a good dip for those folks who like savory but not spicy. 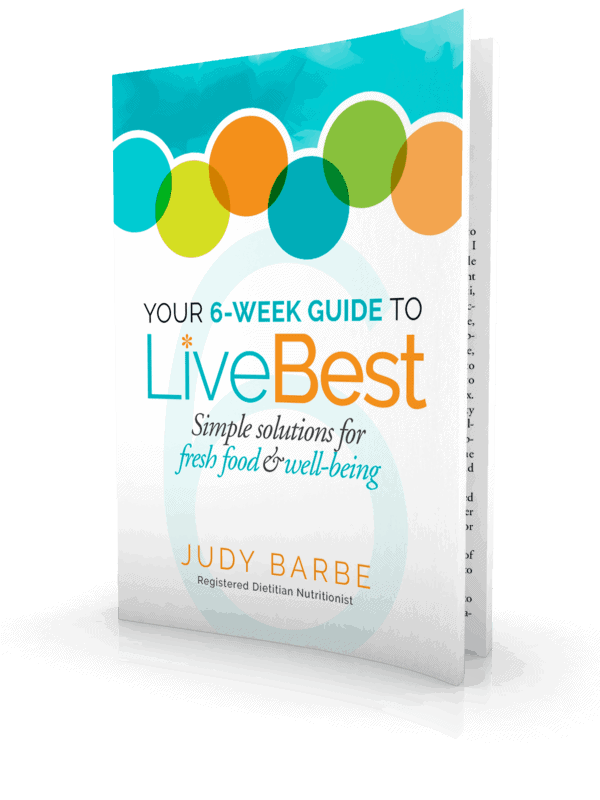 Wonderful web site, thanks Judy! 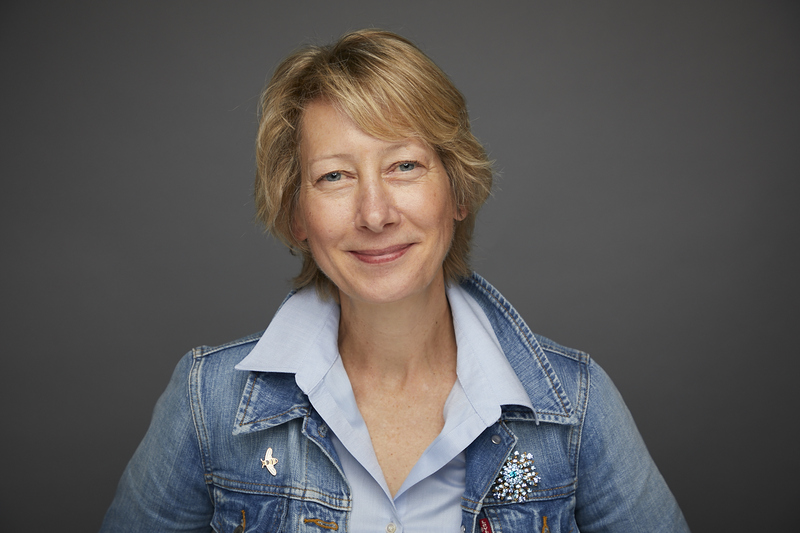 Hi Laurel, I love the idea of adding chipotle. I’ll try that next time. The chives are running amok!